The online community has given their full heart support to the 'Addicted To life' campaign launched the government aiming to eradicate the drugs and alcohol usage in Kerala. 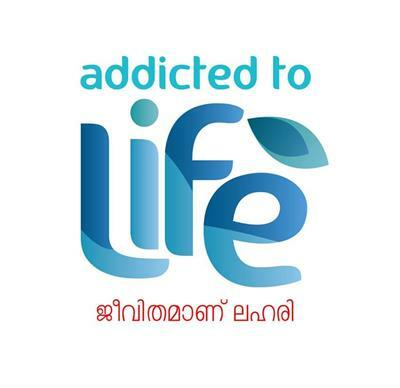 The official page of the campaign, 'www.facebook.com/getaddictedtolife' launched by the Chief Minister got enormous response from the netizens with the campaign reaching nearly 85 lakh users in Kerala while the total number exceeded 1.75 crore which include vistors from other parts of the country and state. The campaign hosted in association with the Kerala State Beverages Corporation (Bevco) has roped in actor Mammootty to take the message to the younger generation. Within days of its launch, the campaign truly proved to be a hit among the young facebook users. Along with Mammootty, his son and actor Dulquer Salmaan, actors Jayaram, Kunchacko Boban, Kalabhavan Mani, Innocent, Nivin Pauly, Unni Mukundan, Fahadh Faasil, Asif Ali, Anoop Menon, Namitha Pramod, Nazriya Nazim, Bhavana, Sanusha, Kaniha, Honey Rose, singer Rimi Tomy and many others are backing this campaign. Kochi-based Easy Soft technologies who are responsible for the social media campaign of the project has developed a special facebook cover to promote the innovative campaign among the youth. Endorsed by Mammotty, many celebrities replaced their profile pictures with a campaign poster. More than 60,000 Facebook users have changed their cover photo to the campaign poster using addictedtolife.in/cover. The initiative taken by the celebrities got hand in hand support while the campaign went viral on Whatsapp and Facebook. As the celebrities changed their profile pictures to spread the message and say no to drugs and drinks, youngsters too followed the path. As 70 per cent of social media users in the State belong to the 13 -34 age group, this campaign is mainly intended to create awareness among them. An yearlong promotion supported by musicians, photographers and others will give an extra boost to the programme. Short film and photography contests are also planned as part of the campaign while tweets of the celebrities and posters will be posted on the facebook page. This biggest campaign for a social cause is expected to deliver positive results. Message against drugs can be given through social media and it is most appropriate method to bother the youth against the bad effects of drugs. The new method is very very useful and congratulations to the government for putting forward this new step.